Porter Robinson, Hot Since 82, Illenium and a handful of other artists and events have been added to the EDC Week 2018 line-up. They join previously announced artists Tiësto, Above & Beyond, Armin van Buuren, Martin Garrix and more. 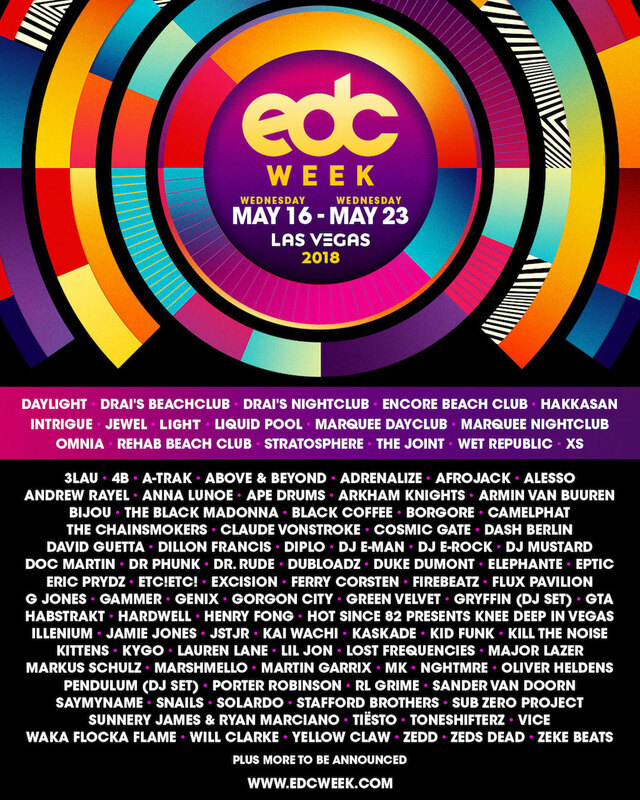 The weeklong event series, taking place between 16th and 23rd May across various hotels and venues on the Las Vegas Strip, leads up to the 22nd annual EDC Las Vegas next month. As one of the featured EDC Week events, Hot Since 82 is hosting a special edition of his Knee Deep event series, Knee Deep in Vegas, at DAYLIGHT Beach Club on 18th May. Insomniac, producers of EDC Las Vegas and EDC Week, are also hosting party takeovers with some of their sub-brands including Basscon (hardstyle/hard dance), Dreamstate (trance), Factory 93 (house/techno) and Bassrush (bass/dubstep). The full list of EDC Week events is available here. For more information on and tickets for EDC Week, visit the official website.